Die Cuttin' Divas this week. These little bunnies make me smile. They are all My Creative Time dies, along with the sentiment stamp. I cut the tag and used an MCT edge die for the scalloped edge. Applied some ric-rac, a punched sun, and ribbon. 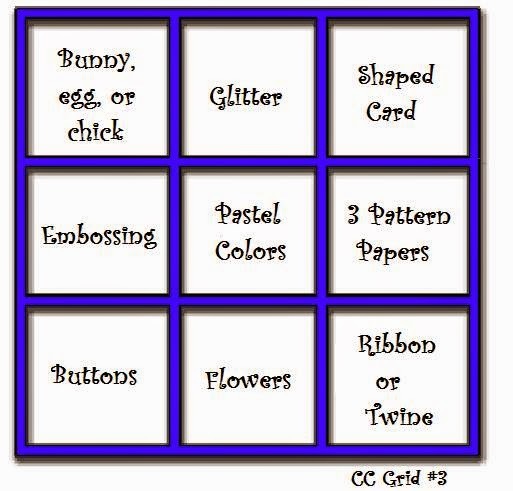 Hope you'll play along at Die Cuttin' Divas this week and enter your card, layout, or altered project into our challenge. Be sure to include a die-cut, telling us what it is, and link your post back to the DCD web site. We look forward to seeing what you create. Cuteness to a tee! LOVE this tag Pat! A sweet tag!! Love it my friend!! Love the little bunny butts on this cute tag!!!! Pat, this is incredibly adorable! 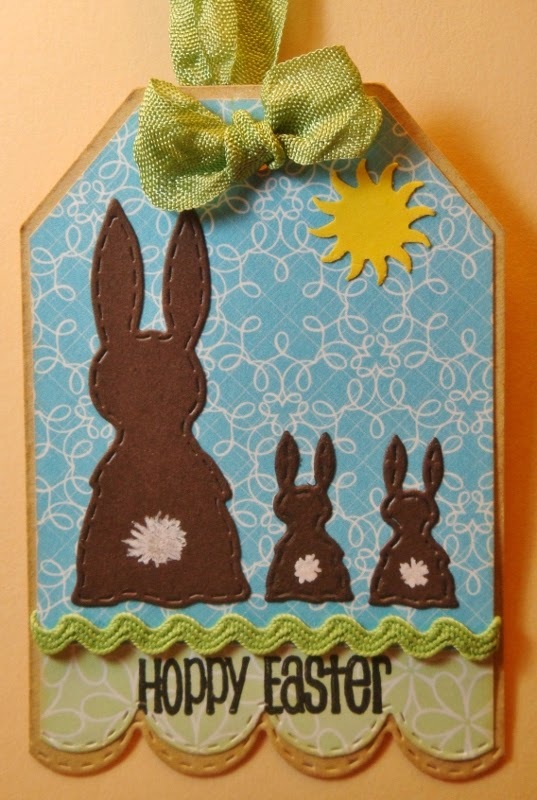 What a super cute tag-the colors, the papers are so perfect together and I LOVE the bunnies! SO darn cute!!! What a adorable tag!! I love the cute bunnies!!! Have a great day. Loving your tag! Did you see I shared it it on the Die Cuttin' Diva FB page? :) Happy Easter!